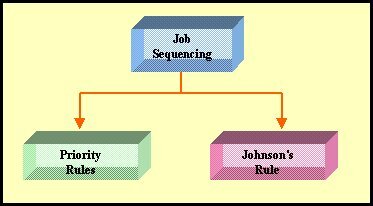 Job Sequencing is the arrangement of the tasks required to be carried out sequentially. Hence the two techniques called Priority Rules and Johnson's Rule are adopted here. Provides guidelines for the sequence in which job should be done. group of jobs that are to be processed on two machines or facilities.